If jobs disappear, you can be paid for what you love to do! 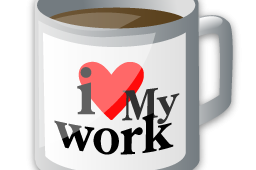 If you could be paid for work that you love to do but is now unpaid…would you take it? Home childcare, or writing a movie script, or inventing gadgets in your backyard, or building a single engine airplane in your garage, or making music, or volunteering overseas for a preferred humanitarian cause, or getting active in a local environmental one, or designing beautiful gardens, or beekeeping, or taking better care of aging family members, or taking all the time you need to develop one of your brilliant ideas into a business–these are just a few ‘passions’ that some of my clients have identified over the years but could not pursue because of economic insecurity. However, the day may be coming very soon when work previously un-paid will be covered by a UBI, or a universal basic income. Why? Because the industrial economy of mass production based on human labour is coming to an end. And it will change many of the assumptions and practices that we now take for granted. For example, we have to work to live—this is the simple truth known as the work ethic and is deeply rooted in our culture for the last 2000 years, maybe longer. For most of us, it is reality. And the idea that we have to work becomes synonymous with a job. 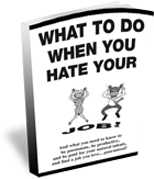 It’s the main reason many of us stay in jobs or organizations that we hate…because we have to make a living and pay our mortgages and provide for our loved ones. Work is often a trade-off between what we’d like to do and what we have to do to pay the bills. It’s a fact of life that few question. As a result, the work ethic has been at the center of who we are as individuals and as a society. In short, we are defined by our jobs. But business billionaires Bill Gates, Elon Musk, Sam Altman and others predict that automation, robotics and artificial intelligence will eliminate the need for most jobs within 20 years. Most people will no longer need to work in order to live. Our basic needs for housing, food, clothing, transportation will be covered by technology and, perhaps, a universal basic income (UBI). What a radical idea! If jobs disappear and are not replaced by new kinds of jobs…well, what will people do? Or, who will they be? It really depends on how you define ‘work’. Some of the most important work in the world is unpaid labour, such as child rearing. Some of the least important work in the world is the highest paid. For example, a study was done on a bankers’ strike in Ireland that lasted 6 months in 1970. Predictions were that the Irish economy would collapse with dire consequences for the man in the street. Instead, the economy actually grew during those six months because ordinary people forged a decentralized monetary system with the country’s pubs as the key nodes for clearing checks and finding cash. The ‘crisis’ demonstrated how much our economy runs on trust not treasure. And there have been few strikes by financiers since. However, garbage collectors in New York City went on strike about the same time and a state of emergency was declared after six days and the strike settled three days later. Bankers and garbage collectors both perform valuable roles in society but who really is more essential to society’s long-term health and well-being? When our economic system puts profits before people, then the highest paid individuals are often those doing the least important ‘work’…because they have the gold, they make the rules. Technology is now changing the rules of the game in some fundamental ways. For example, working for a living has always involved producing something in return for wages. But what happens when ‘things’ can be produced by robots and other forms of artificial intelligence? The answer to this question is behind UBI, a proposal for changing the very structure of society as we now know it. The idea is that the wealth created by robots and computers will be shared more equitably with all citizens…rather than accrue in the bank accounts of fewer and fewer people at the top of the income scale. I believe this is a significant idea with serious implications not only for those of us working today but especially for our children. As difficult as it might be to think that our current economic model could change so drastically, any responsible parent will want to stay on top of these developments in order to secure a promising future for their children. UBI is not a done deal. There are pros & cons, as well as other options, such as 15 hour work weeks, open borders, and more. If you want to learn more about these issues and trends, subscribe to my free UnDone online mag. Or, at the very least, start thinking about what you might do with your time. My JobJoy Reports have helped hundreds of individuals clearly identify their motivational pattern and where they might apply it in terms of meaningful work so that they live to do work that energizes rather than drains them. Author George DutchPosted on September 21, 2017 September 21, 2017 Categories Career Success, job changeTags Artificial Intelligence, Automation, bankers, Robots, UBI, Universal Basic IncomeLeave a comment on If jobs disappear, you can be paid for what you love to do!